Add extra sparkle and color to your dress with this pink and orange beaded bracelet. 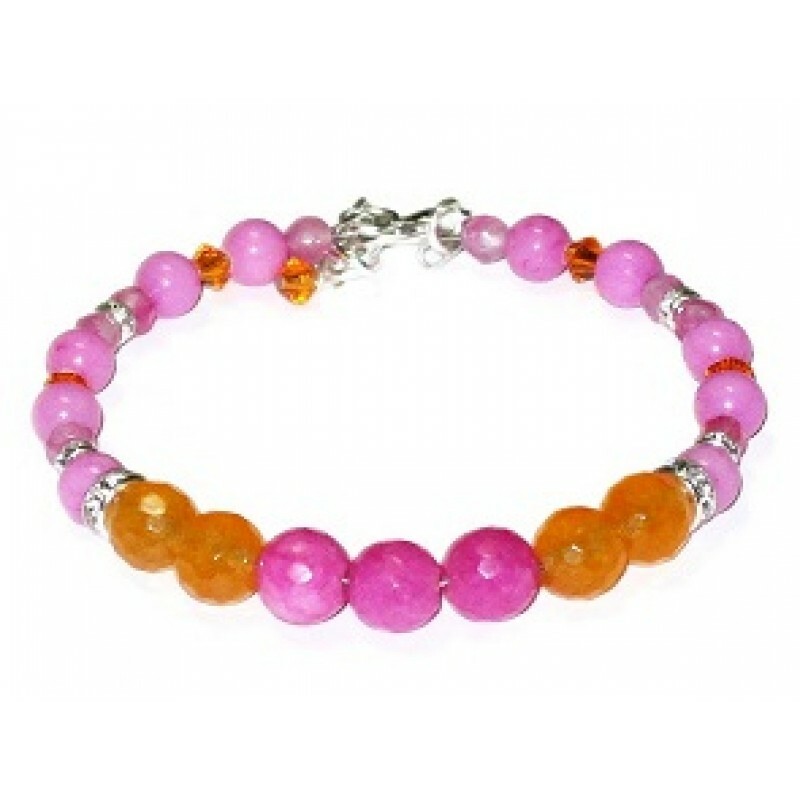 It consists of Swarovski crystals, silertone rhinestone rondelles and faceted and smooth jade beads. It is made on expandable wire and has a silver-plated clasp and can be extended from 6 1/2 to 7 1/2 inches when using the extender. Make your outfit pop with these orange and pink earrings. They are made up of czech glas..